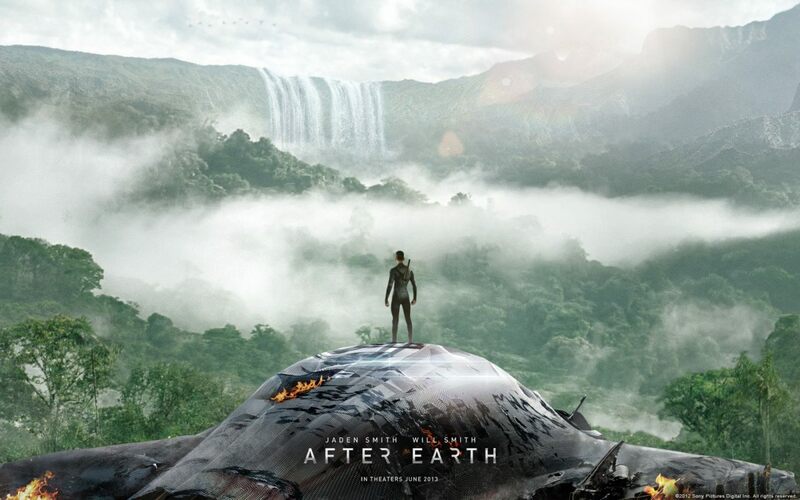 After Earth is a Sci Fi survival story of a boy named, “Kitai Raige” (Jaden Smith) who crash landed on a planet along with his father “Cypher Raige” (Will Smith), and have to survive various kinds of dangers that Earth greets the crash landers with. I have to admit that the trailer when I saw it months ago, did get me excited. But fortunately I saw today that it was directed by M. Night Shyamalan, and all my hopes were out. It was this low expectation that made the movie worth a watch. Don’t get me wrong, I don’t hate Mr. Night, but he have a knack of making movies too boring sometimes. But fortunately his last movie “The Last Airbender” wasn’t his last movie as a director. So when I say After Earth wasn’t a total disappointment, I mean it.